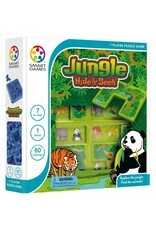 Discover a new world of Asian animals with SmartGames Hide & Seek Jungle. 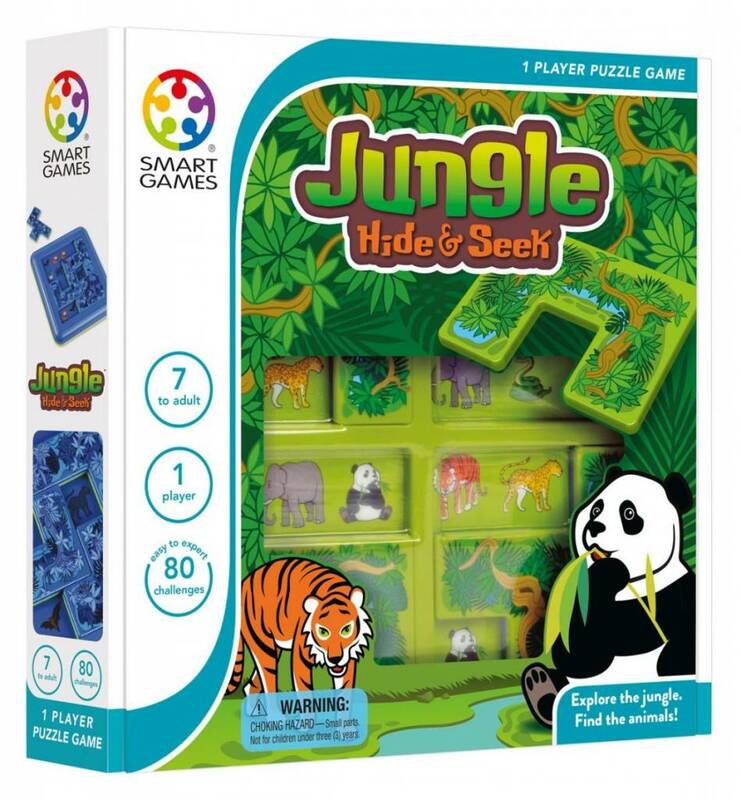 Can you find the Asian jungle animals show on your challenge and hide all the others? It’s two games in one with a four-grid “day” side board, plus a “night” side featuring more difficult challenges in one big grid. 80 total challenges ranging from easy to expert. 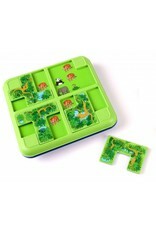 To explore the jungle, find and hide the animals according to the challenge. Choose a challenge. 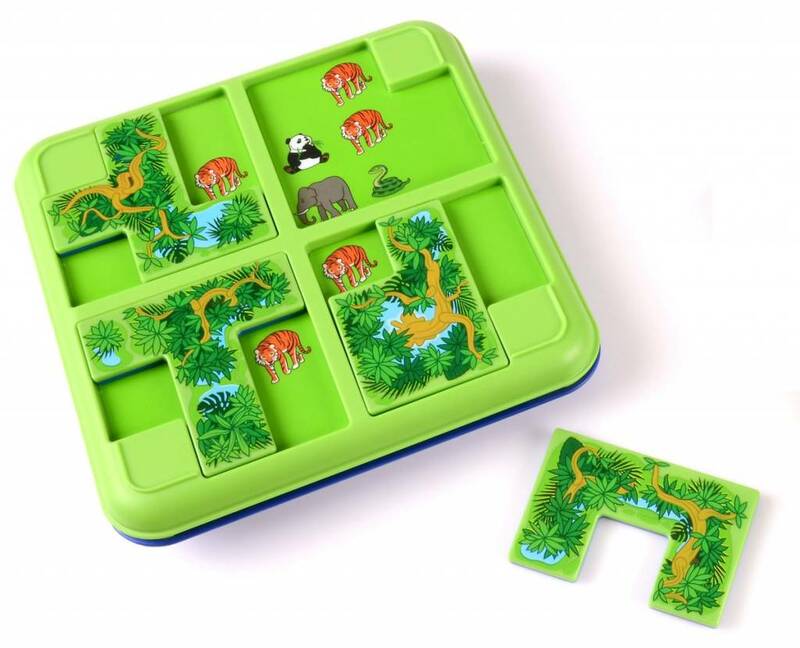 Place the four puzzle pieces on the game board. Hide all animals except the ones pictured in your challenge which remain in the open. 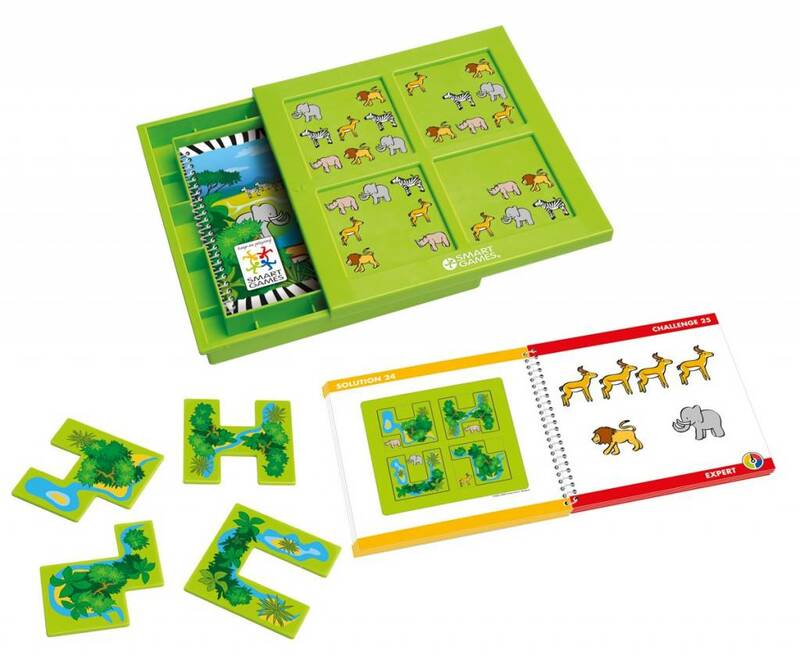 When the correct animals are safely hidden, the puzzle is complete. There is only one solution per challenge.